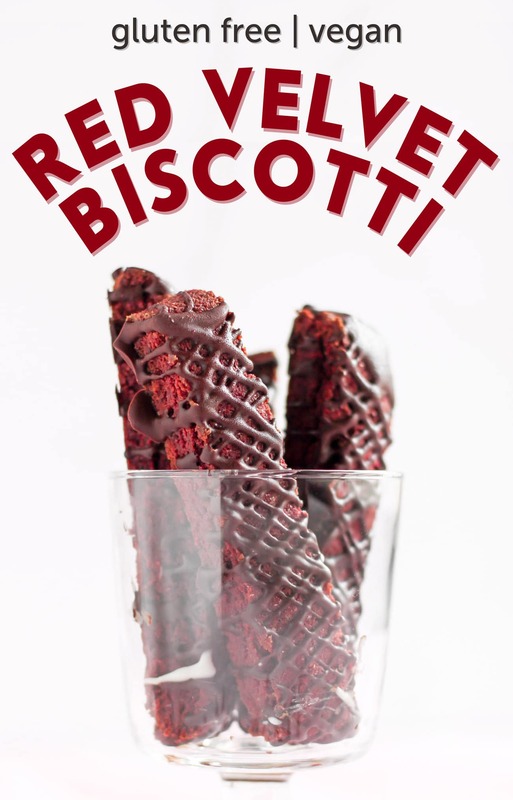 I don’t care if you’re married or single, in a long-distance relationship, a brand new relationship, or heck, if you’re dating yourself… you NEED this Red Velvet Biscotti!! 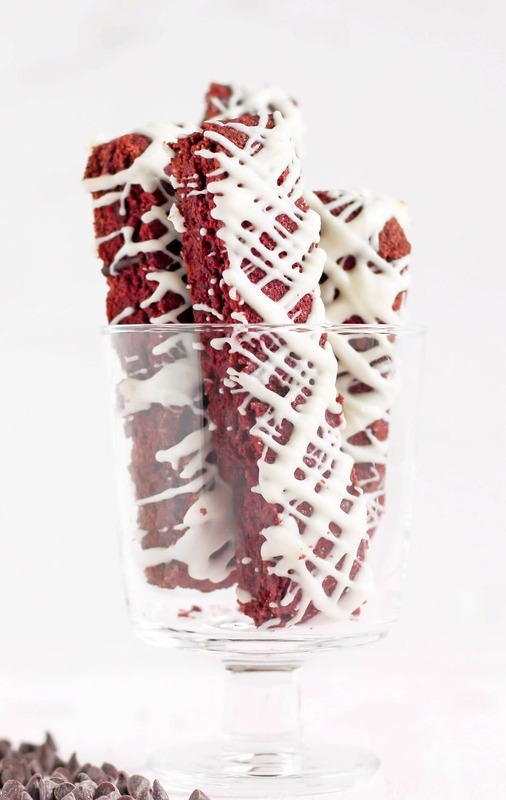 This naturally red Red Velvet Biscotti is crunchy, perfectly sweet, and drizzled with chocolate. It’s also delicious all on its own, of course! Biscotti is usually a hit or miss with most people. I feel like you either like it or you don’t care for it. I’ve never been one to care for it because it always seemed too plain and crunchy. That is, until I made a batch myself. I made this Chocolate Hazelnut Biscotti a little bit ago and I became OBSESSED. It’s crunchy, yes, but it’s not plain in the slightest. 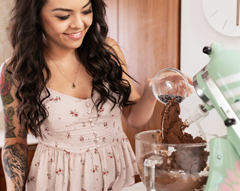 It’s packed full of chocolate-hazelnut goodness, and while it’s not overly sweet, it satisfies your sweet tooth with every bite. Since I’m obsessed with anything red velvet, and since Valentine’s Day is coming up, I thought, why not make some Biscotti? Red Velvet style! Even with all of these swaps, the Red Velvet Biscotti maintains the classic biscotti crunch, but has added benefits. Oh, and a beautiful red color! Because we swapped out the flour, this biscotti is gluten-free. Because we swapped out the butter and eggs, this biscotti is dairy-free and vegan. Because we swapped out the sugar, this biscotti is lower in sugar and carbs. 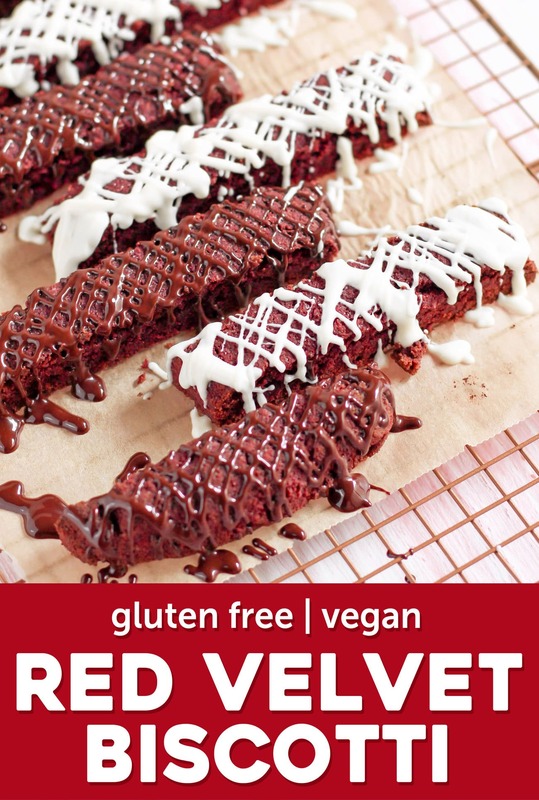 You’d never know this naturally red Red Velvet Biscotti is gluten free, vegan, and lower in sugar than typical biscotti! It’s perfectly crunchy, has the right amount of sweetness, and is drizzled with chocolate. I used both dark chocolate and white chocolate, but you can use whatever kind you like. 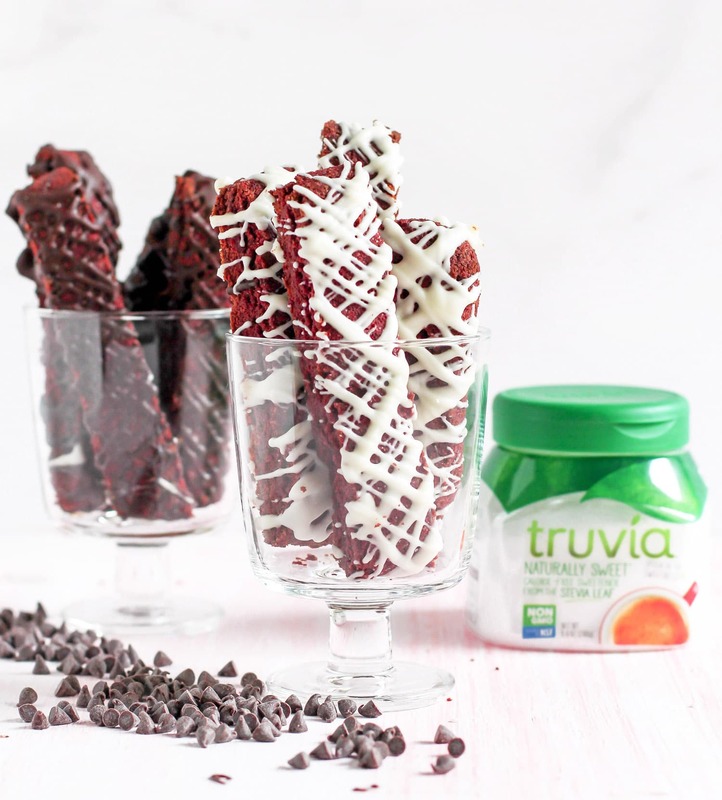 This NATURALLY RED Red Velvet Biscotti is crunchy, perfectly sweet, and drizzled with chocolate. 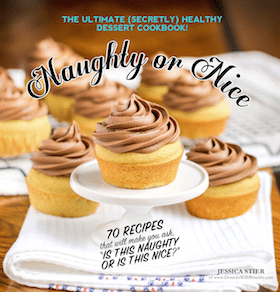 You’d never know it’s low in sugar, gluten free, dairy free, and vegan -- it’ll satisfy your sweet tooth with every bite! 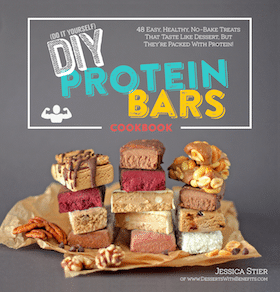 In a small bowl, stir together the almond meal, ground flaxseed, baking powder, and salt. 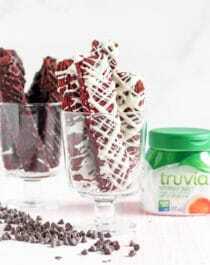 In a large bowl, stir together the beet puree, Truvia, cocoa powder, and vanilla extract. Dump the dry ingredients into the wet ingredients and mix until you get a uniform dough. Scoop the dough onto the cookie sheet and shape into a rectangle (~4"x8"). Bake for 25 minutes. Let cool for 25 minutes, then slice into ~½" strips. Carefully lay the strips on their sides, then bake for an additional 10 minutes. Carefully flip each biscotti and bake for another 7-10 minutes, or until firm. Let cool completely. Drizzle with melted no-sugar-added chocolate or serve all on its own. Enjoy! 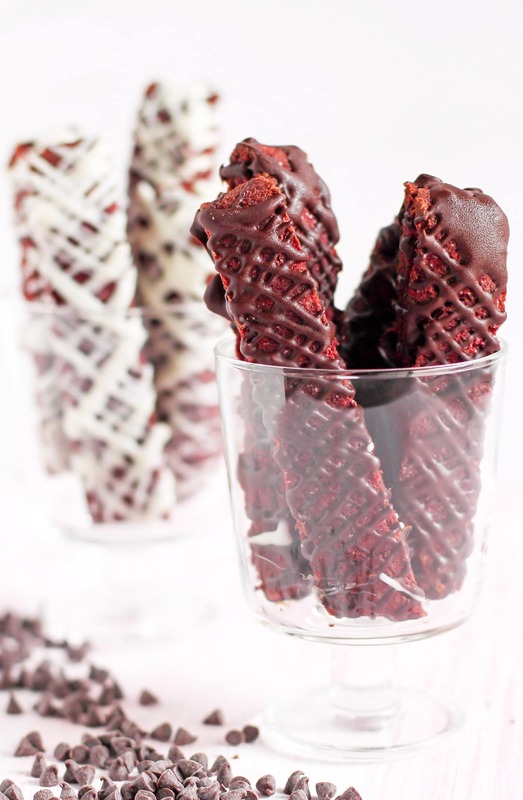 Who needs plain old regular biscotti made with refined flour, sugar, butter, and eggs, when this vibrant red and chocolatey Red Velvet Biscotti exists?? To be frank, biscotti’s gotta be a no for me too. I always have been a fan of soft cookies and I don’t really like sweet crackers unless they’re chocolate Teddy Grahams, haha! 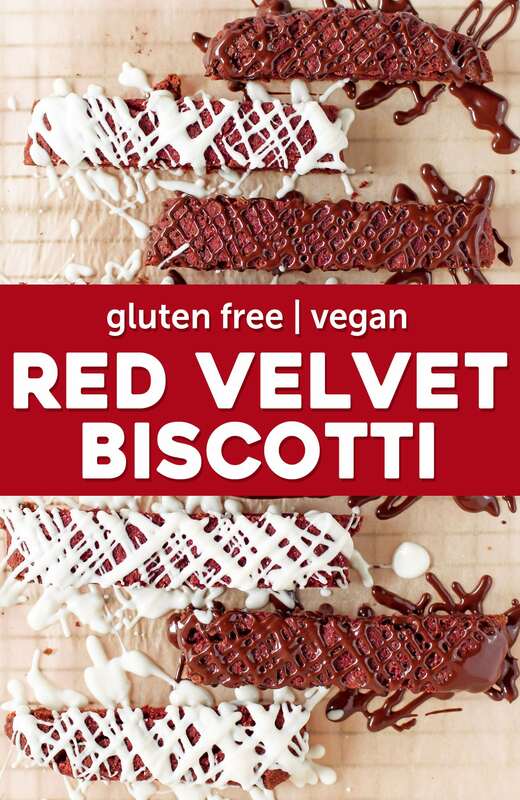 Vegan red velvet biscotti sounds lovely though. I did try this vegan almond biscotti at a vegan cafe and I loved it, to my surprise! I bet this one would be such a great treat!